Duncan has been consistently ranked by Medium as a Top Writer in various topics, including Psychology, Business, Relationships, Leadership, Health, Life Lessons, Love, and Writing. His articles are often in the Medium Top 20 and have also been featured in various other publications (see below). 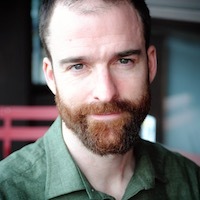 Duncan holds a Ph.D. in clinical psychology, works in Silicon Valley as a software and computer engineer focused on artificial intelligence, and also coaches high-performing technology and business leaders.